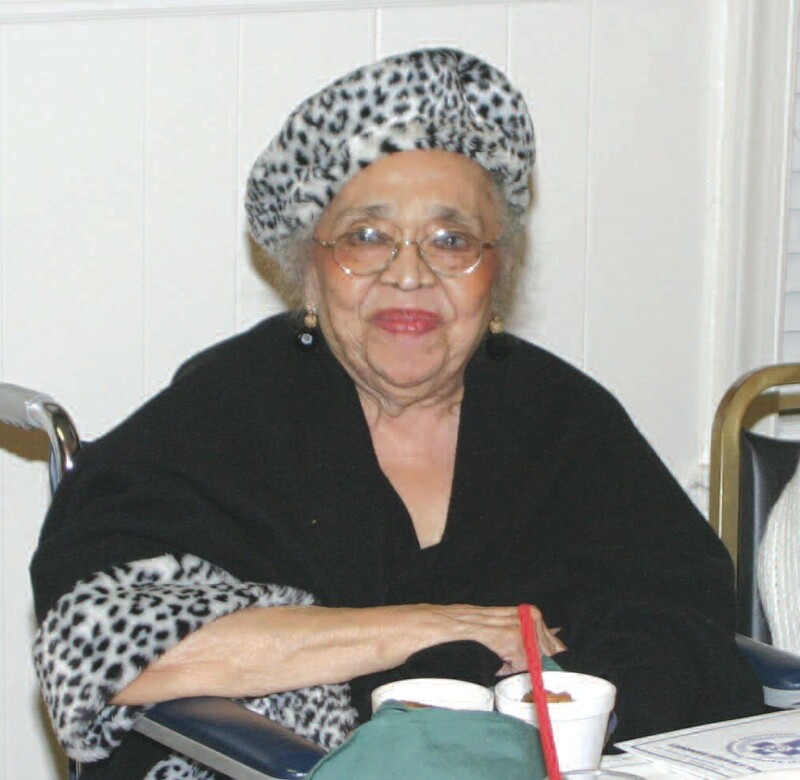 Mrs. Frenchye Mason Bynes was born in Jackson, Mississippi on January 24, 1923. She was the second of three children born to DeWitt and Cleotha Ward Mason. She departed this life on Saturday, May 26, 2012 in Savannah, Georgia. In 1942 she married Frank Howard Bynes, Sr. and to this union five children were born. Both her husband Frank H. Bynes, Sr. and her son Raleigh DeWitt Bynes preceded her in death. Frenchye became a Georgia licensed funeral director and worked in three roles: wife, mother and business owner/funeral director and side by side with her husband in the daily operation of the funeral home as needed. Once Frenchye got involved, regardless of what it was, things changed for the best. Frenchye knew the importance of women getting involved with funeral servprograms, ice and being a part of the business and the Savannah area set a standard with her friends Carolyn Jones and Sadie Williams being part of their husbands business. Frenchye was involved with her children’s educational civic, social, politically and communitycentered programs throughout the city. She was very active with the Georgia Funeral Service and Practitioners Association, Inc. and held several offices. She joined Epsilon Nu Delta Mortuary Fraternity, Inc. and was a member of Alpha Gamma Chapter as well as the 5th District of the National Funeral Directors and Morticians Association, Inc. (the states of Florida, Georgia, and Alabama). She was honored as a Matriarch of Funeral Service Award by past District Governor Elleanor Starks and received many accolades throughout her funeral service career. As the widow of Frank H. Bynes, Sr., Frenchye M. Bynes became the proprietor and President of Bynes- Royall Funeral Home, Inc. the oldest funeral home in the state of Georgia. She was also distinguished as being the first female African American funeral director in Savannah. She was a member of the Deaconess Board of St. John Baptist Church. During her 57 year membership at St. John she served on the usher board, adult choir, served as chair, co-chair and an officer of various auxiliaries and functions. She possessed an unyielding spirit of service to her church and God. Among her current organizations, Lifetime member of the NAACP, Inc., the Wolverines and the Mutualettes. As the recipient of many honors and awards, the most recent included 2007 Spirit of Excellence Lifetime Achievement Award; 2006 the 50 year membership Recognition Award from the National Funeral Directors and Morticians; 2005 Outstanding Business Legacy Award of West Broad Street given by the Savannah Chapter of Links; 2004 Grand Marshal for the Martin Luther King, Jr. Day Parade and the Community Spirit Award from the 100 Black Men of Savannah. Inc. She was a former member of the Board of Directors of Hospice, Inc., Carver State Bank and the Wesley Community Center. She also served on the Tax Equalization Board for Chatham County. Surviving to cherish her memory are 4 children; daughter, Mrs. Olga B. Bland; son, Dr. Frank H. (Gayle) Bynes, Jr,; daughters, Mrs. Frenchye (Carey)Bynes-Jones and Mrs. Lisa A. (Anthony) Reid of Alpharetta, Ga; 13 grandchildren; Mr. Jimmie (Terry) Musgrow, Mrs. Tara (Kevin) Jackson, Mrs. Olga (Leroy) Williams, Ms. Teri M. Bynes, Mr. Edward D. Musgrow, Ms. Patricia F. Bynes, Ms. Frenchye Diane Bynes, Ms. Toya P. Bynes, Ms. Frenchye Love Wilkerson, Ms. Megan M. Wilkerson, Ms. Macie J. Wilkerson, Carey N. Bynes- Jones and Sophia L. Reid; 7 Great-grandchildren; 2 sisters; Mrs. Ester Anderson of Jackson, Mississippi and Mrs. Lorraine Nash of Detroit, Michigan; a multitude of other relatives and friends. Visitation is Wednesday May 30, 2012. The funeral will be held on Thursday, May 31, 2012 at 11a.m. at St. John Baptist Church, 522-528 Hartridge St.